Onto the main reason for this post... 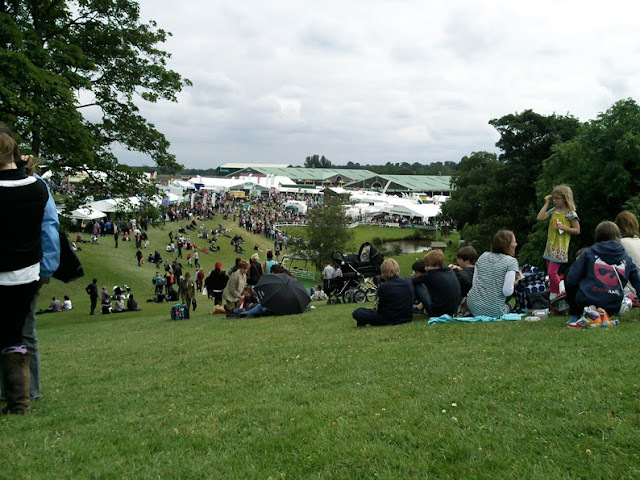 I went to the Great Yorkshire Show yesterday, it's the third time i've been and I had a really good day. I ate a ridiculous amount of food, the majority of which was free samples so it's all good ;) I ate so much cheese (and I don't even like it that much) as well as sausage, strawberry milkshake, yogurt, cake, shortbread, fudge and probably quite a few things that I can't remember! 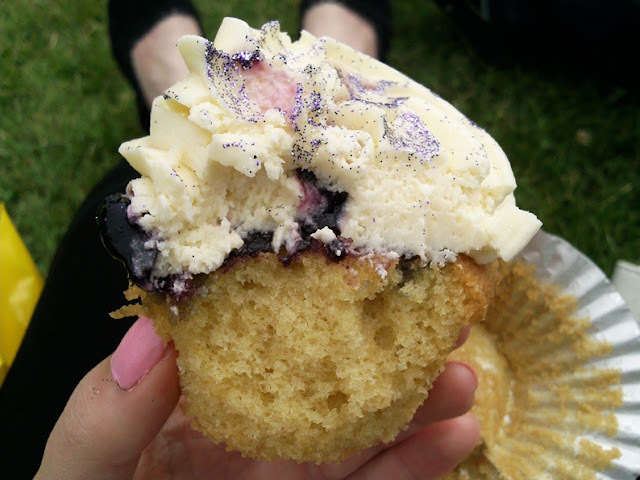 I also bought a glittery blueberry cupcake, a cinnamon and sugar pancake and a giant meringue all of which were eaten on the day so I don't even want to think about the amount of calories I ate or my blood sugar! I also saw James Martin - me and my friend wanted to talk to him but we couldn't actually think of anything to say! Steering away from the food related stuff I saw Prince Charles and Camilla - I wasn't impressed at being pushed out of the way by their people so they could get past though! I just managed to hear Youcef Preston performing (I could only actually see his hand and his guitar because I was sat on a hill!) - i'd never heard his music until yesterday but he's done some really good covers on YouTube - my favourite is Just The Way You Are. As you would expect there were quite a lot of animals there, the huge horses and donkeys were a highlight as well as the greyhounds. Apologies for the lack of photos - I really wish i'd taken more! The new layout looks good. Dont blame you for not being impressed at being pushed out of the way, how inconsiderate. That cake looks so good! Practically drooling over my computer, not pleasant.. Sounds like a good day out! The cake looks so yum!